Please refer to the links for guidance on how to use the TCO Certified brand correctly, including guidelines for logo usage. Reuse IT products — make a difference on #CircularElectronicsDay! 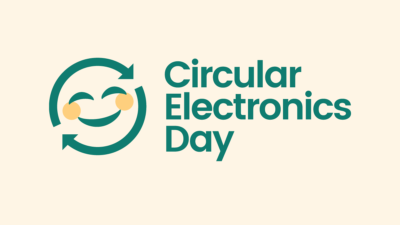 #CircularElectronicsDay highlights the fact that 50 million metric tons of IT products and other electronics are discarded around the world every year. The waste contains both valuable metals and hazardous substances that are often released into nature and affect human health. Today, the Green Economy conference “Putting words into action” takes place in Stockholm as part of the Global Ecolabelling Network (GEN) annual meeting. For over 25 years, TCO Certified has developed solutions for driving social and environmental responsibility in IT products and their manufacture. By setting relevant sustainability criteria, purchasing organisations can help drive increased environmental and social responsibility in the market. IT brand HP has joined Dell and Lenovo in achieving the TCO Certified sustainability certification for a range of notebook computers. A new compliance study by sustainability certification TCO Certified reveals major improvements in factories manufacturing IT products for 16 brands.